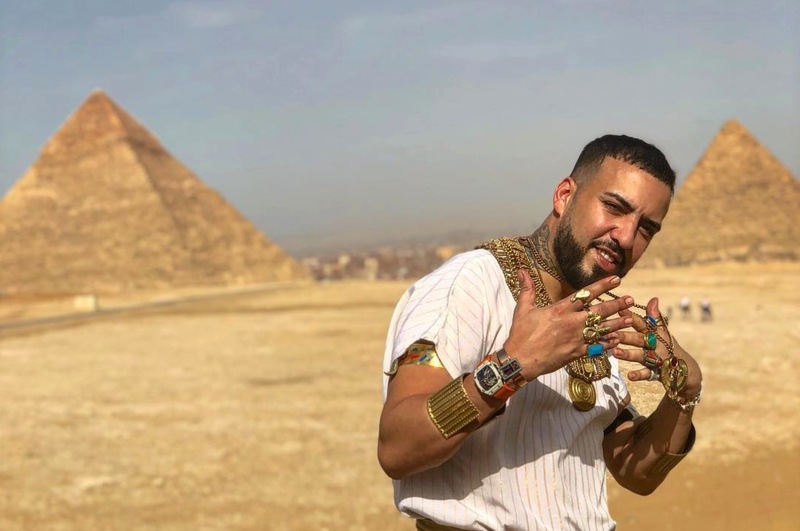 French Montana has visited the Pyriamids of Gizeh in the Egyptian capital of Cairo on Saturday. The American-Moroccan rapper posted several photos on Instagram showing him in front of the pyramids while he’s dressed liked pharao. Montana is in Egypt because he performed for the first time in the Arabic country on Friday.